We believe in supporting the work of public service and not-for-profit organisations and have carried out several workshops to help prepare young people and individuals with mental health issues and physical disabilities prepare for future employment. The role of Absolute Image within these programmes is to design and deliver workshops providing attendees with the knowledge and practical solutions/skills to build their confidence and self esteem while increasing their awareness of the importance of great impact at interview and how to create a great first impression. Great session. Lorraine was excellent at identifying and celebrating that all of the young people have their own identities but focussed on providing the tools to tailor that to the workplace. Lots of engaging, practical activities allowed them to explore the area whilst maintaining their attention. 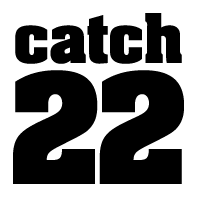 Catch22’s Route to Work Programme supports disadvantaged young people aged 16 to 24-years-old to gain experience, skills and qualifications to succeed in education, training or employment. The programme combines intensive interventions to build positive attitudes, confidence and motivation, with the opportunity to gain career specific skills and qualifications, work tasters and access to apprenticeships. As part of the programme we delivered a series of fun, interactive workshops providing practical solutions and guidance on body image and personal presentation. The aim was very much about empowering attendees with confidence and self-esteem as well as showing them how to make a great first impression/impact at an interview. The Shaw Trust is a national charity that helps disabled and disadvantaged people into employment.